Practice incentives can be so motivating and fun! We haven't had one yet this year, and I've spent quite a bit of time thinking about and searching for a great new practice incentive. Another piano teacher named Janie Fowler Downing recently shared a post on Facebook about the practice incentive that she is currently using with her students. The idea originally came from Natasha Vanderlinden. Students have the opportunity to earn hearts with their names on them, and those hearts are then placed in special Valentine themed boxes for each student. The student with the most amount of hearts in their box wins the prize--a heart shaped kalimba! I just had to try this practice incentive with my own spin on it in my studio! 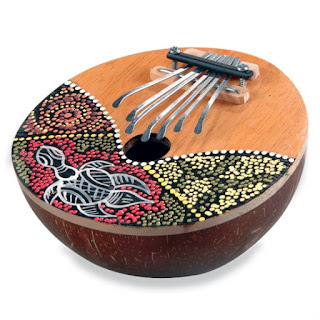 I found an adorable kalimba (Bantu word meaning "little music") here. I bought three; one will be the grand prize and the other two will be added to the collection of rhythm instruments that are played during weekly lessons. I believe that creativity is important to include in every lesson (composing, improvising, accompanying stories with music, and so on). Sometimes students feel nervous about improvising on the piano without written music in front of them. The kalimba sounds beautiful no matter what keys are played together, and gives students the freedom to just play and feel the music. We will start with two notes and make different musical patterns with those two notes, and then try it with three until we're finally using every key. We will also create soundscapes to accompany stories. 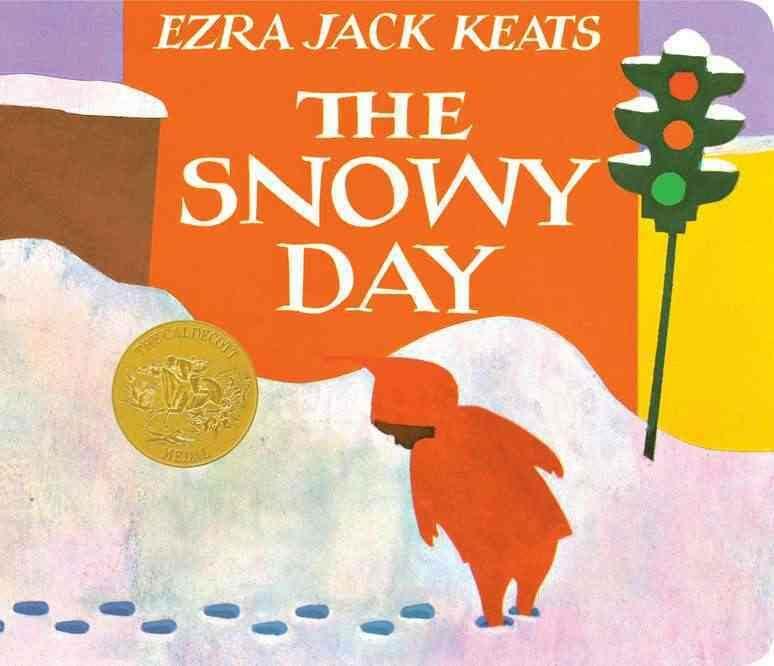 I plan to read The Snowy Day by Ezra Jack Keats in February, and we will create music that sets an emotional tone and create sounds for snow, walking slowly in the snow, smiling snowman, angels, sliding down the hill, and so on. Some other books that I plan to use in the future are The Giving Tree by Shel Silverstein (we will create a motif for "and the tree was happy" and play it every time that phrase is read) and Caps for Sale by Esphyr Slobodkina (to accompany the monkeys' "tsz tsz tsz" and create sounds of the caps piled high on the peddler's head and then falling from the tree). Call and response is another wonderful improvisational activity that is perfect for the kalimba. I will play a motif and the student will respond with either by repeating or by playing a variation of that motif. Rhythm gives music movement, predictable patterns, and even directs where accents are placed in melody and harmony to make it pleasing to our ears. Rhythm is essential to creating and performing music. When I was student teaching in an elementary school, students were taught how to read rhythms and clapped and counted them aloud. I'm so grateful that this fundamental to music is taught in schools; because of this, several of my beginning students come to their first lesson already knowing how to feel a beat and count rhythms. 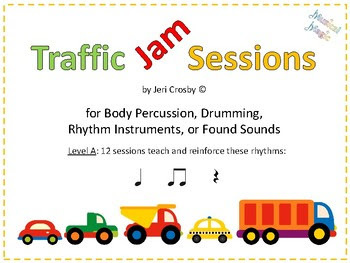 I love to practice reading and feeling rhythms with percussion instruments in weekly piano lessons. Using percussion instruments allows us to step away from pitch and piano keys and just feel the pulse of the music. Typically, we tap out the music from the method book or other repertoire, and sometimes I use rhythm cards. The kalimba is perfect for this! Instruments help new students feel comfortable and excited to learn about music. It can be very intimidating for a 3 year old to be in a new environment, with a teacher that they do not yet know, while seated at a large instrument with 88 keys! The kalimba creates soothing and beautiful sounds and can easily fit in a child's lap. Sounds like oceans, waterfalls, or birds singing could be played in the background while we have free play with the kalimba and/or other instruments. It also offers a low-stress way to assess the child's ability to hear and feel rhythm as we introduce ourselves, "My name is Susie" (sol-mi-sol-fa-mi). If you use a kalimba in your studio, I would love to hear your ideas! Please comment below! I like this blog so much. I like Classic Lever Harps so much for instrumental music.